Although I believe the high-street has a few great options when it comes to budget bases, it's high-end alternatives I rely on and have consistently turned to since my mid-twenties. High-end brands offer a greater variety when it comes to formulas, finish, their shade ranges often far more diverse with a bigger range of shades available and the quality, I find, is just better. 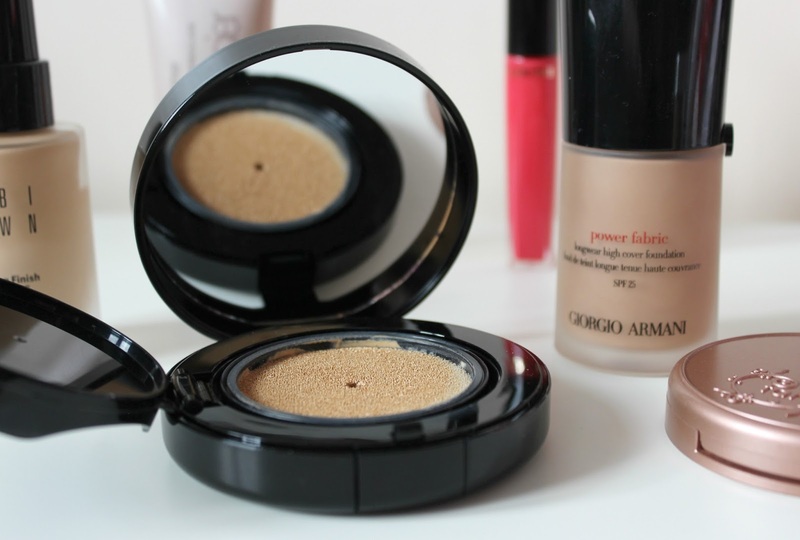 I find high-end bases easier to apply and blend, usually more weightless on the skin giving a more natural looking finish. Longevity wise, when it comes to my almost-thirty dehydrated skin that has it's combination moments, high-end bases are my go-to favourites for a base that will last from morning to night. If you prefer a lighter, almost barely-there base, then the Bobbi Brown Skin Foundation Cushion Compact SPF35 (£36) is a lovely option for all skin types. It gives skin a really natural looking glow, incredibly lightweight which makes it difficult to build up to a higher coverage but it makes skin look healthier and happier without needing to cover it in a full coverage base. 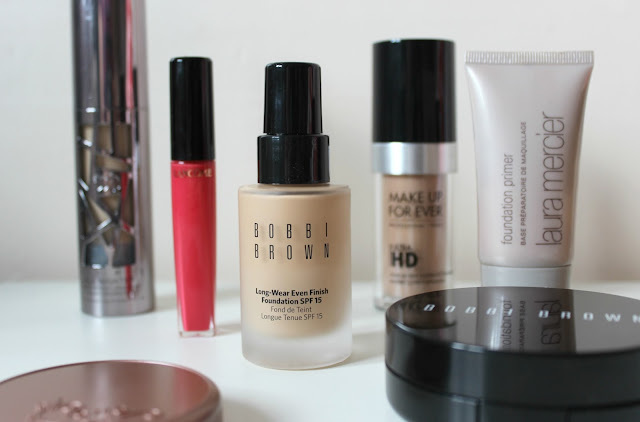 Another Bobbi Brown base and one I have raved about for years now is the Bobbi Brown Long-Wear Even Finish Foundation (£34), which I always make sure to have a back-up of in my makeup stash. For me, this foundation gives me the most flawlessly natural looking finish that lasts morning to night and as Bobbi Brown is the closest match I have come across shade wise, it means this base is pretty much perfect - it's had the top spot as my holy grail base for several years now. Better suited to normal and/or oily skin types, it feels lightweight, it blends like an absolute dream and it leaves skin feeling hydrated with an oil-free gel-based formula. If you want something that has a quite a high, buildable coverage, then the incredibly long-lasting Urban Decay All Nighter Liquid Foundation (£29) is a great option for most skin types, although as a completely matte finish base, it's probably one to test before you buy if you have skin more on the dry or dehydrated side. The consistency provides a lovely medium coverage on one application, very easy to blend and build up if you want full coverage, disguising discolouration, redness and any little blemishes with ease. The shade range covers both pink and yellow undertones and there's quite a few available, with 24 shades available. 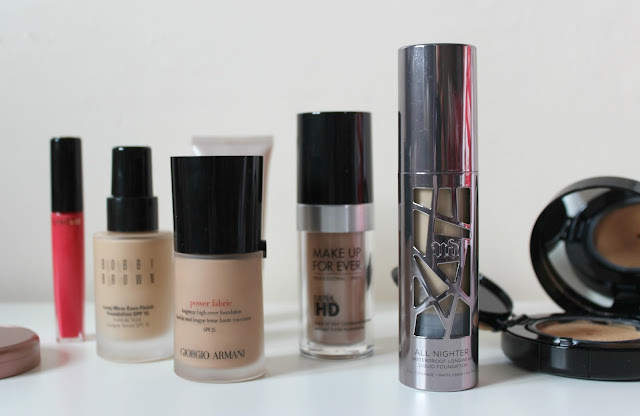 A base which amazes me with every application is the Giorgio Armani Power Fabric Foundation (£40), which gives that coveted my-skin-but-better glow that is super lightweight and has a beautiful finish; it applies and blends easily and makes my skin look flawless. It has a medium coverage but can easily be built up, it gives skin a very smooth look and has great longevity, lasting throughout the day. Full coverage bases more your thing? The Make Up Forever Ultra HD Invisible Cover Foundation (£29.90) offers a high coverage finish with a formula that feels comfortable to wear morning through to night. 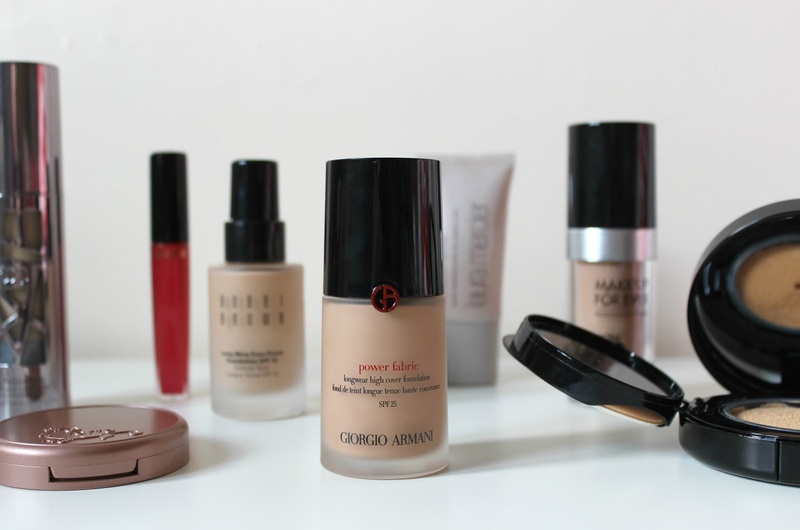 It covers any imperfections with ease and has one of the most long-lasting formulas I've come across in a foundation. There's a huge range of shades available with over 40 to choose from as well as being suitable for all skin types. 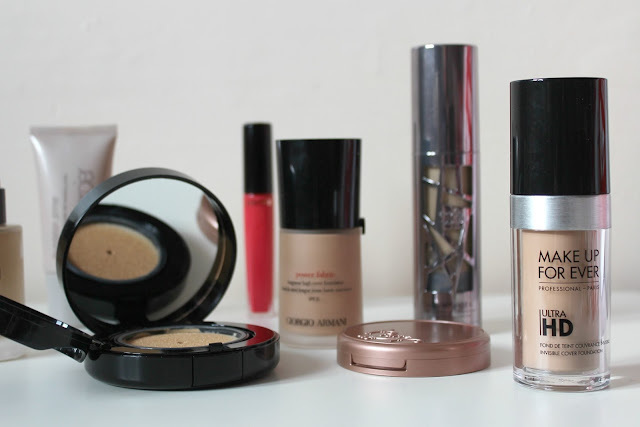 High-end bases come with a price tag that won't meet everyone's budget, but if there's one area of your makeup you want to invest in, these are the foundations I'd recommend going for. Each of these brands has makeup counters nationwide in department stores, with some stand-alone stores too - if you want to try-before-you-buy, then make sure to pop by your local counter to get a colour match, many offer samples or will apply there and then for you to try.